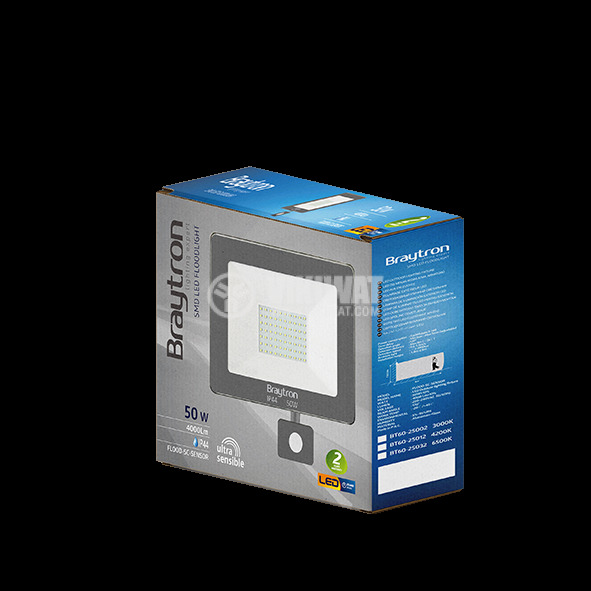 Moisture and damp-proof SLIM LED floodlight Braytron with built-in motion sensor, 50W power consumption, flux 4000lm and cool white lighting. Suitable for outdoor installation IP44, especially in front of entrance doors, gates, parking spaces and in different parts of the yard. Warranty 2 years. LED floodlights with build-in motion sensor are convenient source of lighting for installation in front of entrance doors, for security. 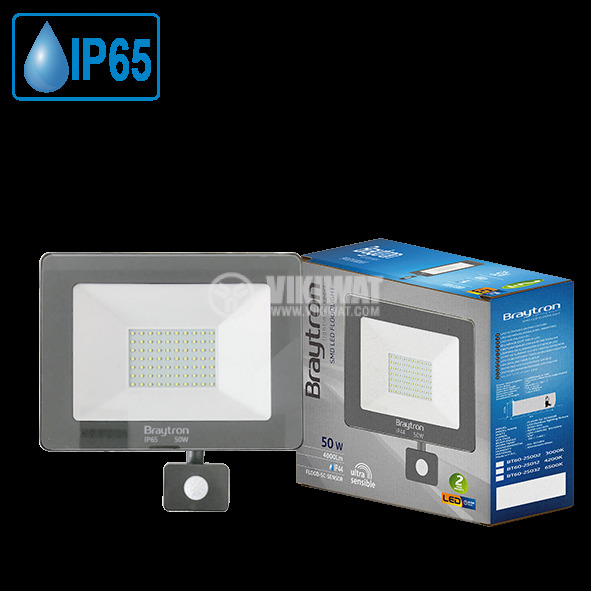 The sensor is triggered by people passing by the area/ This type of floodlight is dust and waterproof with an IP44 degree of protection, making it a suitable solution for installation in indoor and outdoor areas with higher humid and dust leverls. 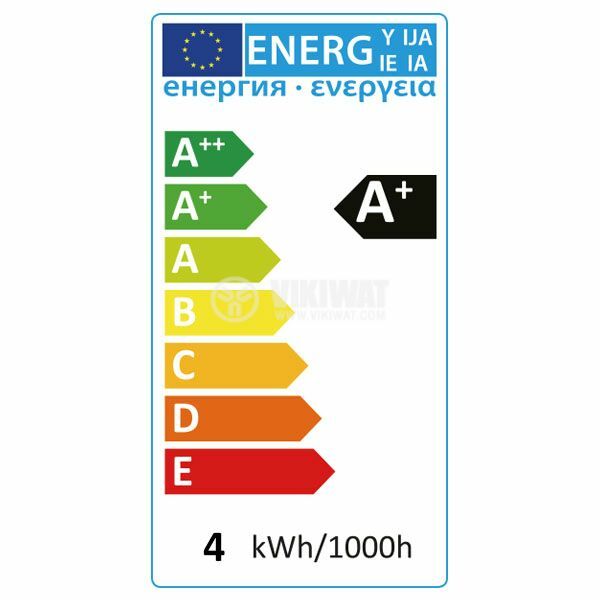 It is suitable for social areas, sports grounds, parking spaces and gardens. Extremely suitable for illuminating warehouses, hotels and different urban infrastructure. 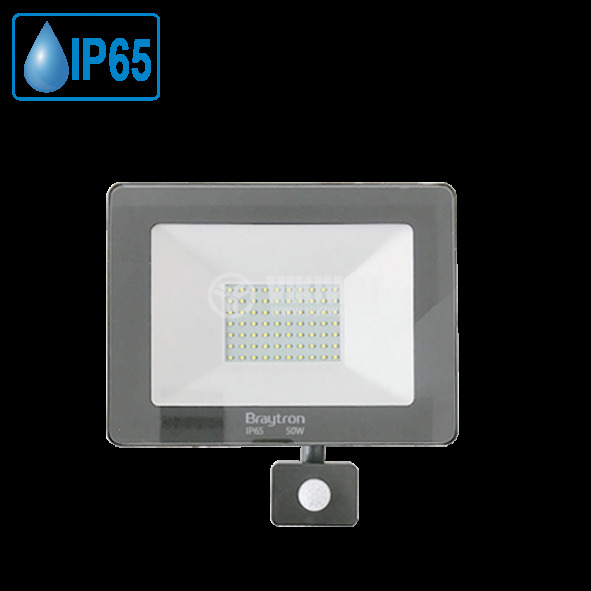 50W LED floodlight can successfully replace traditional halogen floodlights with power up to 500W by saving up to 10 times more power. 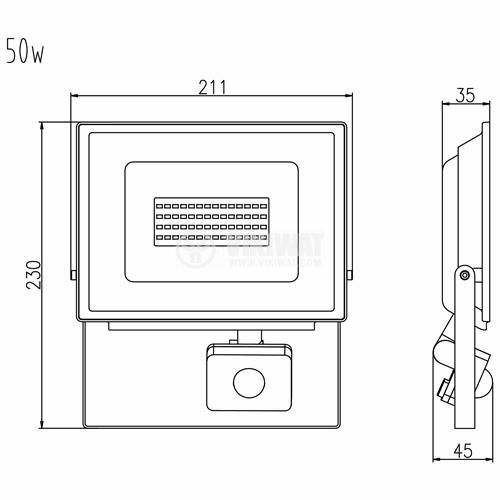 BT60-25032 - 50W LED sensor floodlight model is NOT dimmable. If it is used with a dimming device it will be irreparably damaged.